The Balik Scientist Bill was approved by the Senate on Final Reading last Nov. 27, 2017. Garnering a vote of 13 – 0, Senate Bill No. 1533 or the “Balik Scientist Act” was filed by Senator Paulo Benigno Aquino IV earlier this year. 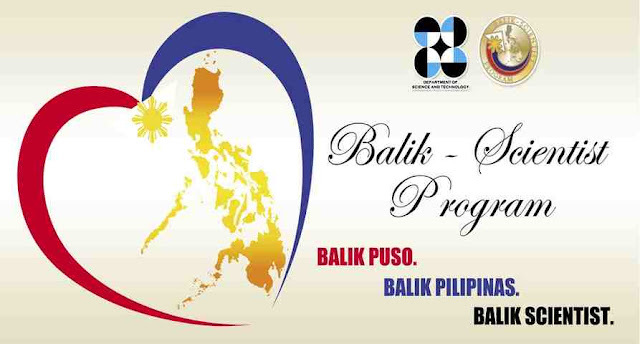 The Balik Scientist Act aims to institutionalize the Balik Scientist Program that was established by then President Marcos through Presidential Decree 818. It was continued by President Fidel V. Ramos in 1993. The Bill’s objective is to entice Filipino scientists, engineers, and even technology entrepreneurs to come back to the Philippines and engage in research, development and implementation of programs and projects that will benefit the country in various fields related to development. These include health, Information and Communications Technology (ICT), agriculture, food production, and the now growing sector of technology startups. The Balik Scientist Act will finally give the DOST’s Balik Scientist Program institutional legs to stand on since it will be legislated with its funding and mechanisms already part of the law of the land. Incentives and financial benefits will be institutionalized. The Bill enables scientists that are working on short-term projects or programs (at least 30 days) to receive benefits that include travel fare, exemptions on tax with regards to their daily allowances, relocation allowances, and donation of instruments and materials required in scientific activities. For medium-term programs or projects (12 months), the same benefits and privileges apply plus exemptions on travel tax that includes their immediate families, and payment of multiple entry fees and also the non-requirement of immigration clearance certificates. For long-term programs and projects (24 – 36 months) the benefits include housing provision, reimbursement for the shipment of personal effects and professional instruments including one motor vehicle, exemption from securing an alien employment permit, budget to put up a laboratory. Of course, the standard benefits and privileges to short and medium-term programs and projects also apply. The Act also puts in mechanisms for the families of the beneficiaries of the program such as preferential employment opportunities for the spouse and enrollment of their children to preferred schools. The Act will enable the country to gain at least 19,000 more scientists since according to UNESCO, the Philippines has 189 scientists per million of its population whereas the ideal is 380 scientists per million. Facebook Launches Messenger App for Kids!